My world has been changed. I never thought fatty goose liver could taste good boiled or in a soup. But chef Sho Naganuma has managed to do it. He has tenderly sous vide-cooked French foie gras and wrapped it in a smooth chicken breast chashu. The resulting texture is like a delicate beancurd or custard with the alluring flavours of foie gras. In some ways, this is even better than the usual pan-fried variety. I can see how the chicken works well holding the foie gras in a roulade form. The meat itself is well-marinated in homemade chashu sauce, and it is so tender, I couldn't tell it was chicken breast. The soup is 100% chicken broth enhanced with shoyu tare topped with a gorgeous mushroom fricassee (three kinds of mushrooms sauteed), toasted pine nuts and watercress. Instead of pork lard on the surface of the soup, chef uses argan oil for a hint of the exotic. Yuzu zest adds the final lift to this incredibly gourmet experience. So much flair and flourish in a single bowl but this is devoid of any forms of pretentiousness; it's totally worth the S$22.90. I've always admired the Japanese's finely honed sense of harmony, and this dish is a lovely example of how the flavours and textures complement and set off each other. However, it's a lot of preparation work that goes into this! So the run is very limited, only until 1 July 2017. We also tried the Truffle Onsen Egg Rice (S$6.90) which has kombu, bonito powder and scallions. 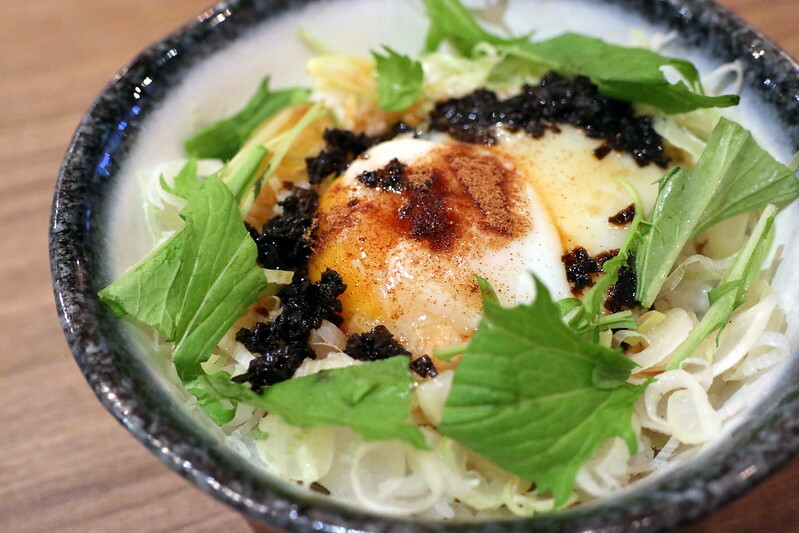 Break open the runny egg and mix all the umami elements into the rice. I knew it was going to be good, but it was still an "oh my god" moment from the first bite through to the last. This is going to be my must-have side dish from now on. Who cares about carbs when it's this good? This is my fourth visit to Menya Sakura, and I am just amazed each time there is something wonderful to discover. I was just here the night before as well, with my two girls who totally love the food (they were so happy to come back again). We had the Tonkotsu Shoyu which is sublime, as usual. 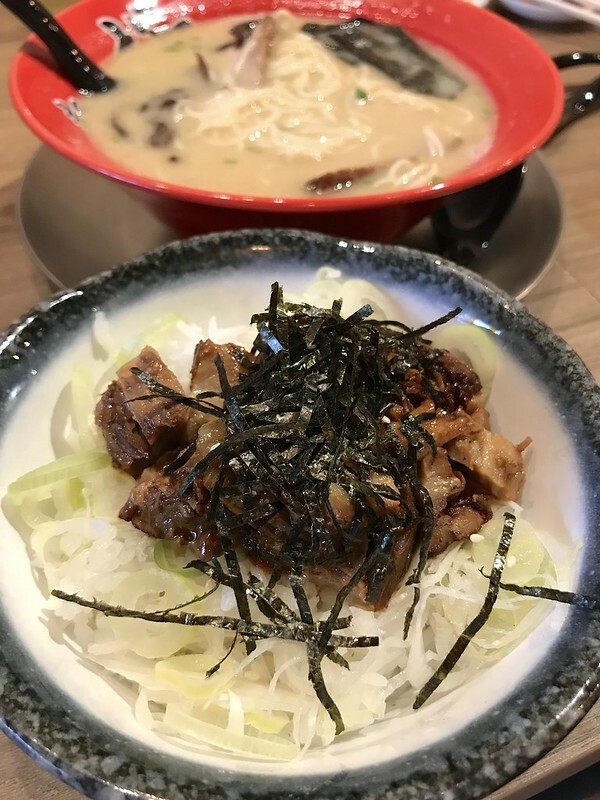 They no longer have the Jumbo Aburi Chashu as that was the previous limited promotion, but fortunately the broth and noodles will stay on the menu. 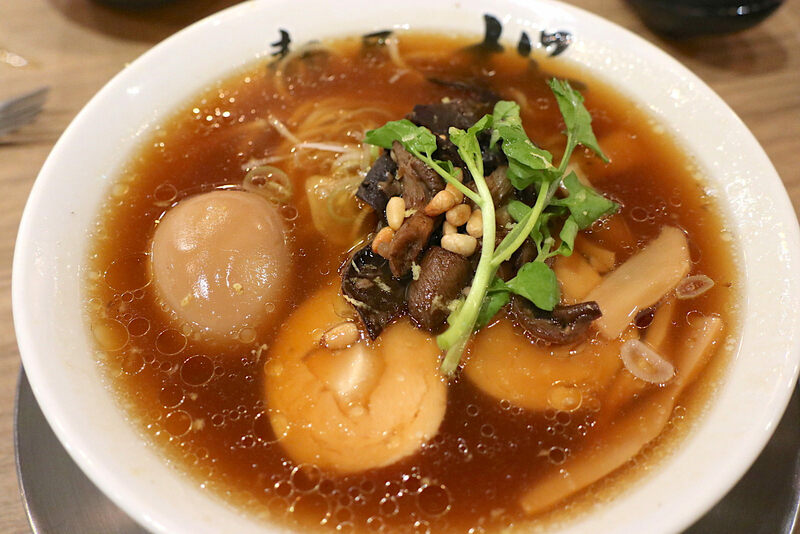 I love this broth; it's my favourite after the Gyokai (pork and seafood) one. I also got to try the regular Tonkotsu ramen here, the non-spicy version. Of all the broths, this is the most straightforward and simple. They use a thinner straight noodle for this, and the greater surface area is useful for picking up more of that opaque broth. 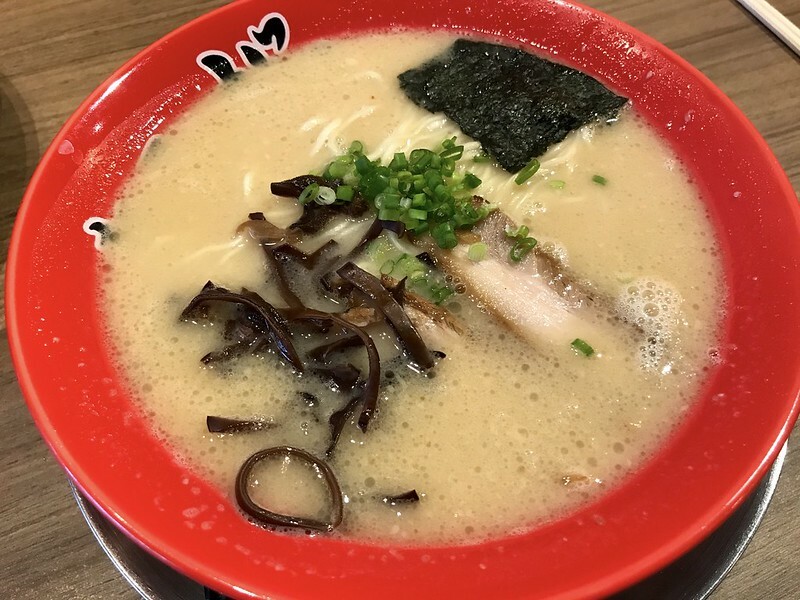 We got the Tonkotsu set with chashu rice and gyoza (S$18). The chashu is intensely seasoned, so definitely mix it up well with the rice! The gyoza is also more than decent. 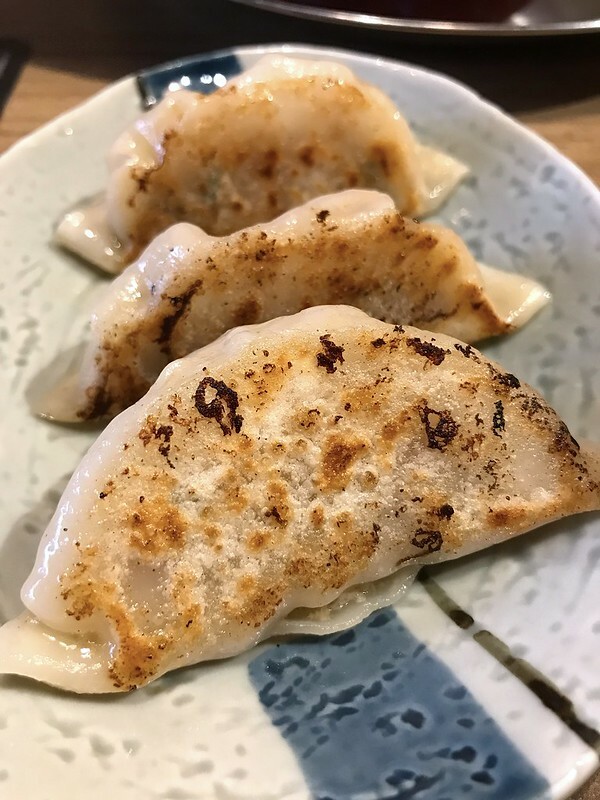 It is a good size with ample filling and doesn't have that rubbery skin like gyoza at some places. Interestingly, each of them has a little slit at the side. Perhaps this helps to pick up more of the dipping sauce? 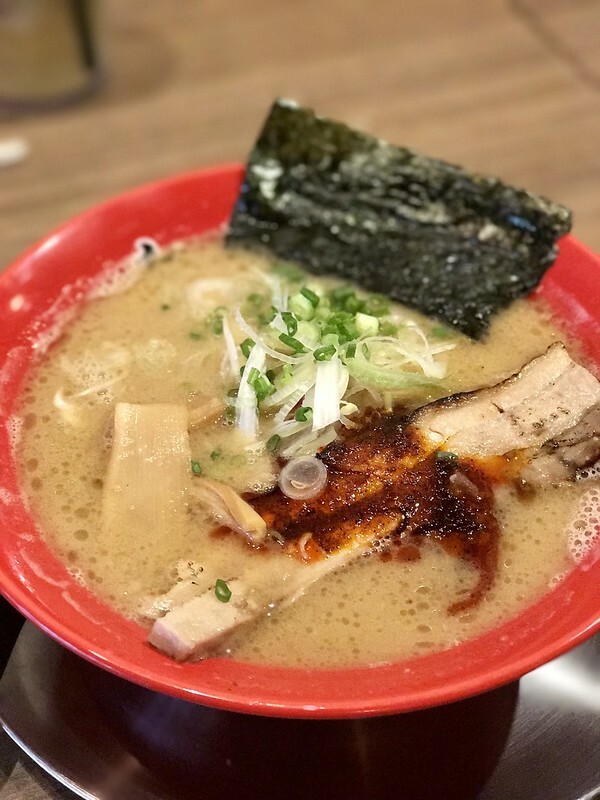 It's easy to keep coming back to Menya Sakura. The food is excellent and the prices are friendly. A cab driver asked me, "What's at 69 Boat Quay?" when I was coming here. I told him this is the best ramen and he immediately asked me about pricing. For ramen, $10-12 is very affordable, he noted. He might bring his daughter who likes ramen. But above all, I love how good food always brings you into this meditative state where you simply focus on enjoying the present. You can come with friends or family and chit chat, but once you taste the food, you will be transported into this world of your own. That's the magic I always get here. First two photos taken with the Canon EOS M6 kindly loaned by Canon Singapore. Rest of photos taken with iPhone 7 Plus.